Daily deals have become a part of our daily activities. When we open our email box we receive hundreds of emails from various daily deal sites. There’s a daily deal for fashion, travel, pets and now the best in handcrafted and boutique deals. I have to admit that I’m not a big sucker for daily deals myself even though I seem to still get tons of emails for them. The pinkEpromise looks like a refreshing idea when it comes to daily deals. 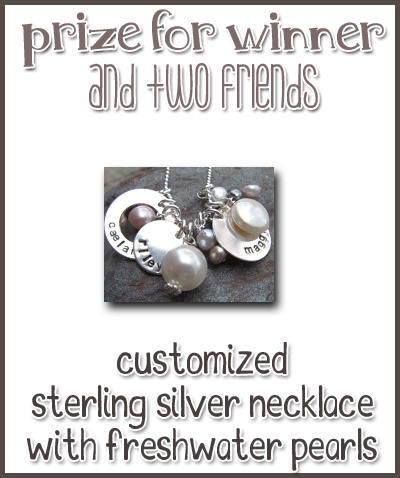 Plus, get a chance to win some gorgeous sterling silver jewelry with freshwater pearls. pinkEpromise was started when two friend, Blair and Mimi, set out on a mission to beat Blair’s cancer! Blair was diagnosed with Breast Cancer at the age of 33 with two small boys. She was terrified and had surgery, chemo and radiation. During all that we have learned SO much about the human spirit and had wonderful support along our journey. The site was developed as a way to raise awareness and money for a special breast cancer foundation that directly helps patient healing with spiritual, mental, physical and emotional guidance while they receive their medical care AND get you the BEST DEAL on the most amazing products. Many of them are handmade! pinkEpromise will send 5% of all sales profits to The Healing Consciousness Foundation. You save money AND help save lives! It’s a win-win! Keep: One sterling silver necklace, personalized just for you! Share: A sterling silver necklace for each of TWO friends, personalized just for them! The Giveaway will open up on 1/29 12:01 am EST and Close on 2/1 at 11:59 pm EST. Giveaway is open to US only. To inquire about becoming a sponsor for one of our fun events, sponsor a post, or anything else, please contact Melanie at melanie@giveawaybandit.com for details. 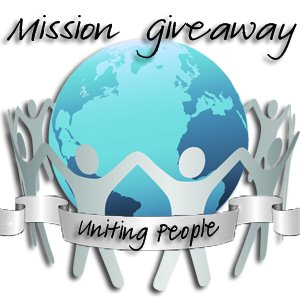 Take a look at our Media Kit to see what Mission Giveaway and Giveaway Bandit has to offer. This giveaway sounds amazing!! Hope I win.